Paul Robinson has set yet another new benchmark in Cape Town with the completion of the city's first 8C boulder problem in Topside. 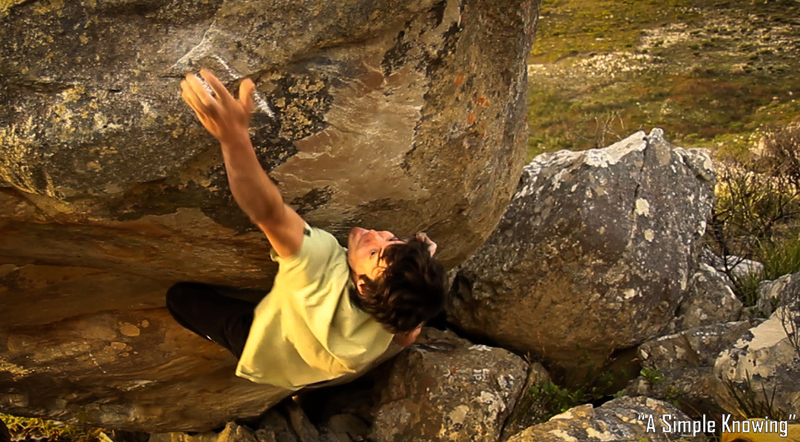 "A Simple Knowing" climbs 12 moves out the belly of a massive boulder at The Magik Bloks. The single crux move took Paul over 4 sessions to stick and success of the full line came after darkness fell on his 7th day on the climb.